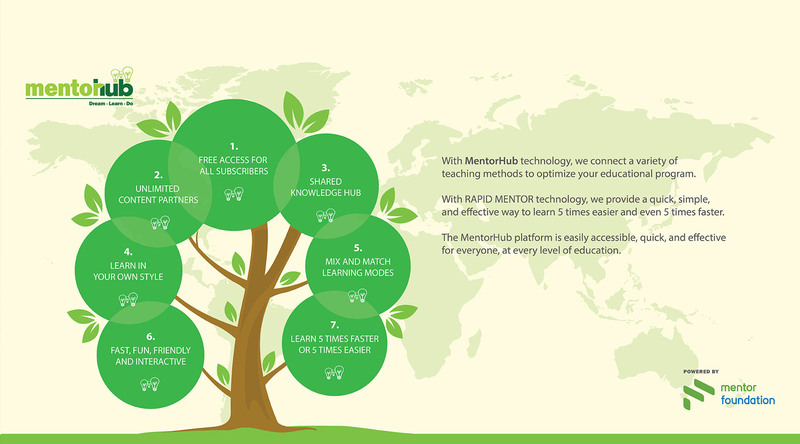 MentorHub is Mentor Foundation’s ground-breaking eLearning platform facilitates knowledge sharing among program initiatives to achieve measurable and sustainable outcomes. Our unique methods and technologies for delivering fast, fun and friendly education are coupled with multiple learning techniques; including online mentoring, focus on supporting and inspiring people from impoverished communities who have hopes and dreams of a better life; who are prepared to learn, and do the things necessary to succeed in becoming independently financially sustainable for themselves, their families and their communities. The most compelling and beneficial elements of MentorHub’s platform is its ability to structure and deliver unlimited range of content to the end user in a way which significantly enhances an individual’s learning experience. MentorHub’s unique features support accelerated learning methodologies and technologies to a mixed audience with variable learning styles, thus making learning easier, faster and more enjoyable for all. Imagine if you could study in a way which best suits your optimal learning style, which helps you learn easier and faster than ever before: WELCOME to MentorHub! MentorHub is easy to use for educational programs, teaching new skills, informative processes and procedures for sustainable growth in personal and professional life. To support effective learning in all sectors of your organisation, or in the communities that you support, you can customise MentorHub as required. MentorHub gives the organisation the freedom to carry out effective and dynamic education for anyone, anywhere and anytime. MentorHub can strengthen and ensure the continuation of any small business, and every Non-Government / Government entities and its communities. Join MentorHub today - and together, we are able to inspire, educate, and improve the quality of life of the community. Reap and Sow: At the heart of MentorHub is knowledge sharing by Mentor Foundation, our Partners and authorised public mentors. MentorHub’s range of courses continues to expand as Mentor Foundation and our growing number of Partners share more knowledge for internal training purposes, across User Groups, or to the public. Listening: For those who learn best by listening, or have reading difficulties, all courses are converted into audio files to help improve comprehension and a more enjoyable learning experience. Watching and listening: Where applicable, any content can be viewed as a video file with simple illustrations to highlight key points to maximise learning, comprehension and application. Offline materials: Don’t let technology limit you. MentorHub enables you to Go Offline, and save to a Mentor-Stick or print courses so you can continue education for yourself or your community anywhere! Combination of all modes: Everyone learns differently. Scientific studies have shown that students learn best when taught in a style, which best suits, their optimal learning style. 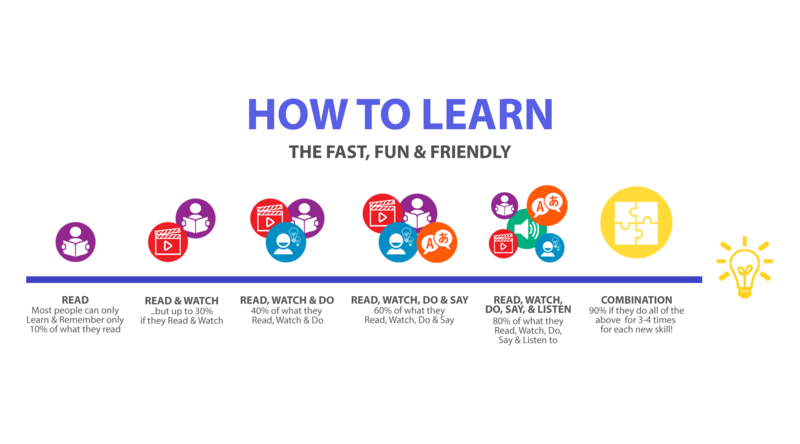 MentorHub ensures everyone can learn more easily by also adopting a combination of these learning modes. Reading: Learn through standard reading, or learn 5 times faster or 5 times easier using our Rapid Mentor technology, which enables Users to read and understand new skills at a leisurely pace, or increase reading speed to accelerate learning. Activities: If you learn best by doing then MentorHub provides Users with activities for self-paced interactive assignments and assessments, and scored quizzes, for improved comprehension of courseware. Catering to learning difficulties: About 17% of the population is affected by Dyslexia; it has prevented students of all ages from realising their full potential. MentorHub’s new Dyslexia Font enables our Users to enjoy an easier reading experience. MentorHub is designed to work well with all current and past devices, allowing users to work on any smart device or computer they have available. Change people lives and let's give them a change..